Find phlebotomy training classes in Kentucky below! For those with an interest in stepping into the medical profession, Ashland Community and Technical College offers a 6-hour credit class to teach basic phlebotomy. Phlebotomists are must-haves in the medical career, as their responsibilities extend past drawing blood and processing bloodwork. Yes, those are their main responsibilities, but phlebotomists are also expected to know how to soothe patient anxieties, while safely, painlessly collecting the samples needed per doctor orders. The ACTC Phlebotomy Training Course is spread over eight weeks, totaling 200 hours (6 credits) worth on Tuesday and Thursdays. Tuition covers a phlebotomy textbook, and students are expected to maintain the upkeep of their textbook, as well as demonstrate knowledge of what they are learning as the course progresses. After program graduation, students are eligible, and encouraged to, take the national phlebotomy certification exam to test their skills and earn the title of professional, legal phlebotomist. Delving into phlebotomy could be the first step towards attaining a fulfilling career in the medical field. For some, this decision could launch them toward higher medical positions, such as medical assistant, lab assistant, or nurse. While some use phlebotomy as a stepping stone, others consider being a phlebotomist a lifelong, dedicated career. The Campbellsville University Phlebotomy Course opens the proverbial door for those interested in investing their lives into the medical profession. This phlebotomy training course consists of 42 hours of classroom lectures and lab studies, as well as 100 hands-on clinical hours for venipuncture practices and other must-know specimen collection methods. Prospective students will learn the basics of phlebotomy, as well as how to communicate in compassionate, soothing, comfortable tones with patients of varying mental states, moods, and ages. Upon course completion, graduates will be eligible to sit for the national phlebotomy certification exam (offered by NCCT), approved by the American Society of Clinical Pathology. Consisting of 80 hours, the Certified Phlebotomy Technician Program, offered by KY Health Training, is divided into two sections – one for 60 hours of in-class lectures and on-campus lab studies, and another for 20 hours of clinical practice at approved medical facilities. 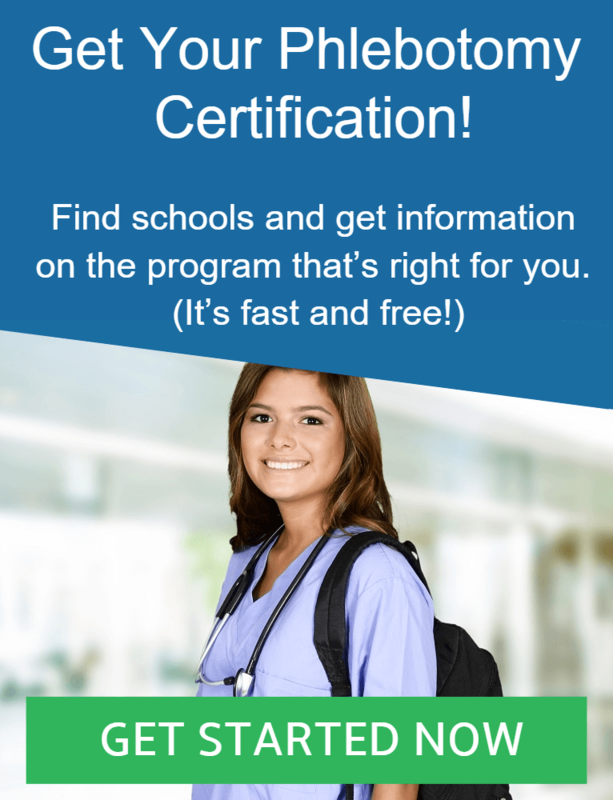 This course is a prerequisite for the required 280 hours needed to become a Certified Clinical Medical Assistant, if that is the path that new phlebotomists would care to take. During this phlebotomy training program, students will be taught the basics of phlebotomy, interpersonal communication, and medical terminology, in hopes of gaining well-versed knowledge of phlebotomy procedures. This class is designed to prepare students for the national phlebotomy certification exam – a test that offers the official, legal title of phlebotomist to course graduates. Good phlebotomists are held in the highest regard in the medical profession. These hardworking, hands-on individuals use their quick-thinking, well-versed knowledge, and keen interpersonal skills to collect specimen samples, record patient health histories, and communicate in compassionate, soothing ways to patients. These are both learned and natural attributes that ATA College seeks to teach and unleash with their 10-month fast-track program for phlebotomists-to-be. The ATA College Phlebotomy Technician Training Course is designed to be accommodating, preparing busy students for a worthwhile career change and fulfilling leap into the medical field. Students will undergo comprehensive, hands-on clinical practices (totaling 120 hours at an off-site, approved medical facility), and flexible classroom lectures (with textbook assignments for take-home studies). Upon completion of this phlebotomy training program, graduates will receive a Diploma in Phlebotomy, as well as the chance to sit for the National Health Career Associations Phlebotomy Technician Certification Exam.